CES 2018: What did industrial companies and other businesses miss? 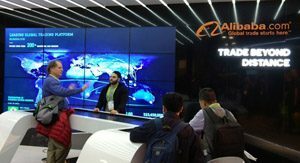 You are here: Home / Tradeshow Reports / CES 2018: What did industrial companies and other businesses miss at the “consumer electronics” event? When there are over 4,000 exhibits and only 3 days, where does one begin? 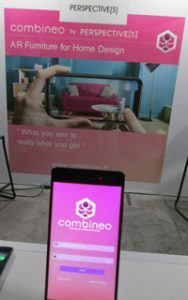 Even with a specially designed CES app, planning for and navigating multiple venues to maximize coverage of new products at this show is an annual challenge. While the largest and best known corporate names and booths tend to be at the Las Vegas Convention Center (LVCC, comprised of a north, central and south hall with two levels), the most (i.e. smaller, newer, startup) companies per square foot are found at the Venetian and Sands hotel complex. There are even more hotels, as well as indoor and outdoor spaces that get used in order to accommodate all the exhibitors and the 170,000+ attendees. A growing number of startups as well as established manufacturers are employing AI. 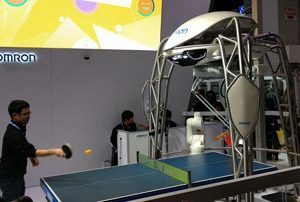 To serve this group there was a new AI Marketplace adjacent to the Robotics area. In addition, a new Design and Source Marketplace allowed both small and large global companies to meet and find new ways to create, produce, package and market new products. These areas joined the 3D Printing Marketplace which debuted just a few years ago. 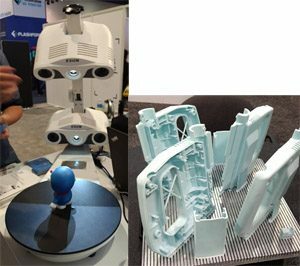 About 6 years ago, there were about a dozen or so exhibitors demonstrating their 3D Printing machines (Stratasys, ExOne, and Protolabs). 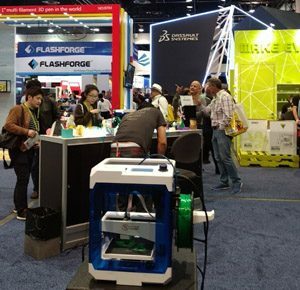 They tended to be more focused on the DIY and “maker” market, but correctly assumed that many attendees were design and production engineers who were interested in additive manufacturing. In just the past 2 years, over 40 companies, including many crowdfunded startups, have joined this group in their own dedicated section on the show floor. All of these innovations depend upon new uses for AI, robots, 3D printers, computer chips, sensors, motors, materials, batteries, and thousands of other manufactured components. 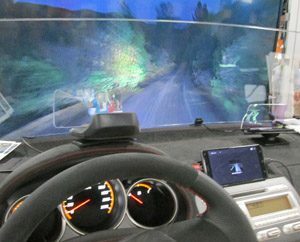 Over the years, many of the products at CES have had applications in, and implications for, the business and industrial world that go beyond mere consumer uses. “Speaking” (pun intended) of international trade, MARS introduced a set of earbuds that will enable “ear to ear” translation of 10 (many Asian) languages via the use of an AI program. Each user only needs to wear one of the pair, and the app does the rest. 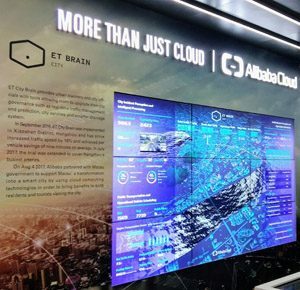 Alibaba anchored a new area devoted to vendors who supplied components or manufacturing capabilities to makers of consumer products anywhere in the world. But of even greater significance, they have launched their own cloud to work with (among other things) the development of smart cities. 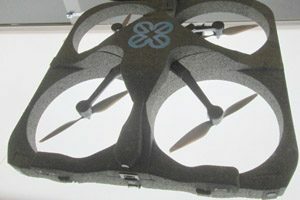 A drone named EYESEE won an award for its ability to help with warehouse inventory management and its role in the supply chain. Drones can move more quickly, accurately and efficiently in many instances, e.g. at certain heights. They help to automate stock control and logistics operations. It seems Domino’s pizza will not be the only product to be delivered in “smart cities” by autonomous vehicles! 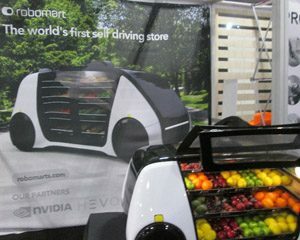 Pizza can be delivered autonomously and retrieved with a custom app –– Other food will come in its own “store on wheels”. 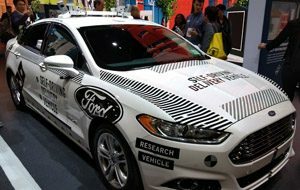 Ford is experimenting with other uses for its self-driving delivery vehicle. 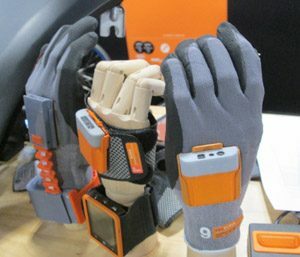 Proglove is a hands-free glove that allows the user to scan – pick, pack, track and trace goods in a factory or warehouse, as well as other places along the supply chain. For workers, such a “smart glove” with a scanner integrated onto its back allows them to work hands-free. This item makes sense for retail stores, but also for manufacturing and logistics companies where goods need to be packed, unpacked and shelved. A French startup also has a different kind of matching service – this one’s concept is to help bring together collaborative teams that want to develop and launch a new product. Jollyclick is a dating site for projects, launched to enable collaborative teams to be formed. Its goal is to match partners with projects, where skills can complement those of others interested in developing a new product. 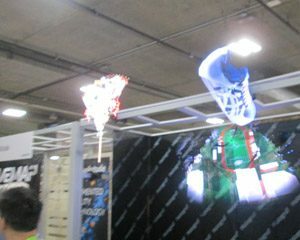 At CES, this technology is always presented in an area designated as “3D Printing”. Each year during the past decade, more and more vendors, including a growing number from China, have displayed their latest machines. Sellers of scanners and materials used for printing have joined this section of the show. All exhibitors displayed samples of their unique capabilities and finished products. Each year, a competition is held by the Consumer Technology Association (CTA) honoring outstanding design and engineering covering many categories of consumer technology products. 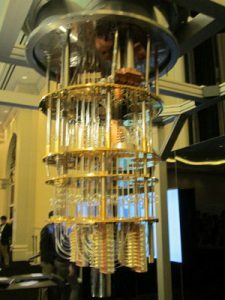 This year, a “quantum computer” from IBM was prominent at the entrance to the hall where all the winners and honorees were displayed. Staff explained how a “QC” worked and what “qubits” were, i.e. 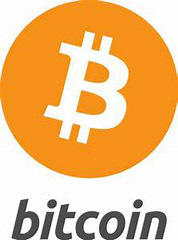 unlike just 0’s and 1’s (binary digits used by traditional computers) a QC’s bits can be indefinite. Most impressive was the incredible speed at which simultaneous computations can now be made, thus accelerating the ability to analyze huge data sets for AI and many other purposes. There were dozens of devices introduced to protect property from unwanted intruders as well as to monitor activities of occupants of one’s home – ranging from infants to pets. 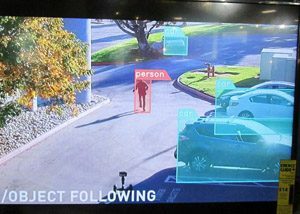 Most involved interconnected video cameras with motion and sound detectors that could be accessed via a smartphone app. 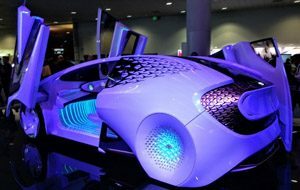 Toyota was one of many auto companies showing off their futuristic designs and features. 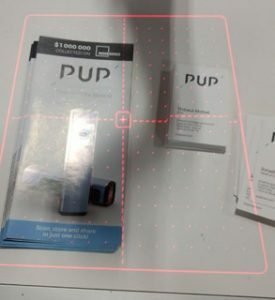 The user can take a PUP handheld scanner and place it above whatever object or document is of interest. 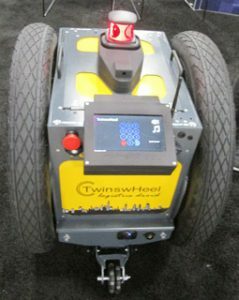 With the push of a button, a set of red lines helps to center and outline the image to be captured for transmission to others or for printing. Last year (and again this year), Modobag – a suitcase that a user can sit on and ride, with a built in charger for devices — was a big sensation. 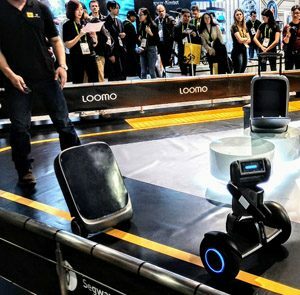 At CES 2018, Chinese firm 90Fun unveiled its Puppy 1 suitcase equipped with a custom auto-following chip and Segway’s self-balancing technology to prevent falling over. It can drive around either controlled by a human, or all by itself. In the upper right of this picture you can see the pop up handle that can be used to pull it manually. 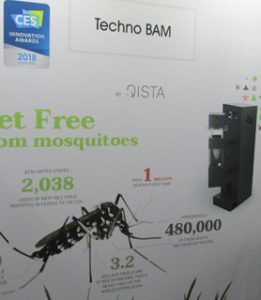 There is a new mosquito trap for municipalities, cities and even nations where diseases are carried and transmitted by these insects. At CES 2018 there was a session called Digital Money Forum to discuss ways that mobile phones and plastic credit cards are moving us all toward a ‘cashless’ society. In addition, there was a lot of buzz about cryptocurrencies (such as Bitcoins, Ripple, Dash) and the emergence of many more virtual” currencies. Is this a bubble, or will global trade embrace this new technology built on “blockchains”? Stay tuned. Ira has attended well over 200 trade shows internationally, and writes about a variety of products from b2b, b2c and industrial companies. He is President of IKALOS Research.